This unique award is available to all students who meet KEF eligibility requirements. The award recipient will have the opportunity to participate in a six-week paid summer internship at KBBC, and receive a $3,500 scholarship in the following school year. 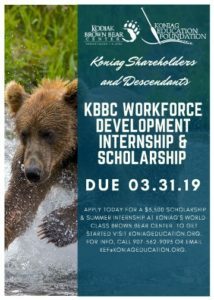 Please review the 2019 KBBC Workforce Dev Intern Job Description V2. To get started on an application, CLICK HERE.